A boy gazes longingly at a sword hanging in a blacksmith's shop. A dwarven warrior reclaims a clan great axe from the hoard of a hobgoblin warlord. Characters who rely on melee attacks to defeat monsters purchase weapons to boost their attack roll. Weapons come in small, medium, and large sizes. 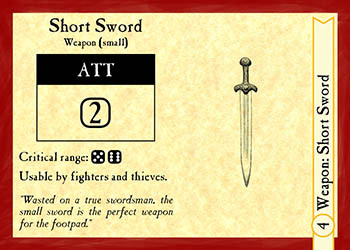 Small weapons are favored by thieves and two weapon fighters. Large weapons hit hard, but take both hands to wield. A thief creeps through the dark in silent, black leathers. A knight charges into battle armored head to toe in shining plate. Armor decreases your opponent's attack roll. 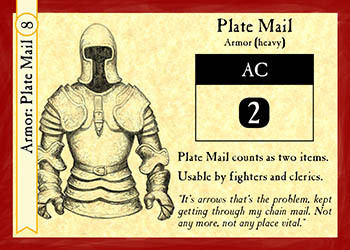 In addition to shields, armor comes in light, medium, and heavy weights. Light armor is easy to move around in but provides little actual protection. Heavy armor provides a great deal of protection at the expense of the character's natural agility. A lonely wizard stands above a table chanting arcane syllables and making complex motions over a rune carved blade. A shield of cold iron chased with holy scripture radiates divine favor. 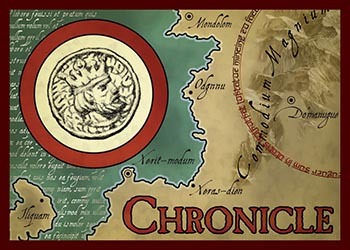 Enchantments can be placed on weapons and armor to make them more effective. An enchanted weapon adds dice to an attack that defeat normal armor. 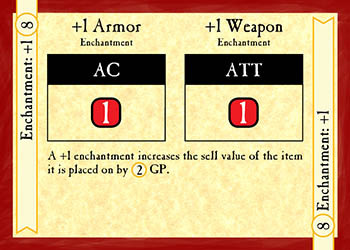 Enchanted armor gives AC dice that are are even effective against magic attacks. 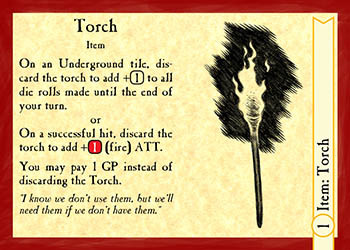 A guttering torch provides the only illumination in the subterranean den of a cave troll. A warrior quaffs a potion of strength before his final, desperate battle with a dragon. Equipment that is not a weapon or armor falls under the items category. Mounts give characters a bonus to movement. Potions heal characters or provide dice to skill checks, Other items aid spell casting, give bonuses to escaping checks, and more.